This mesmerizing Rachel Allan long dress 8283 is the perfect gown to turn heads. 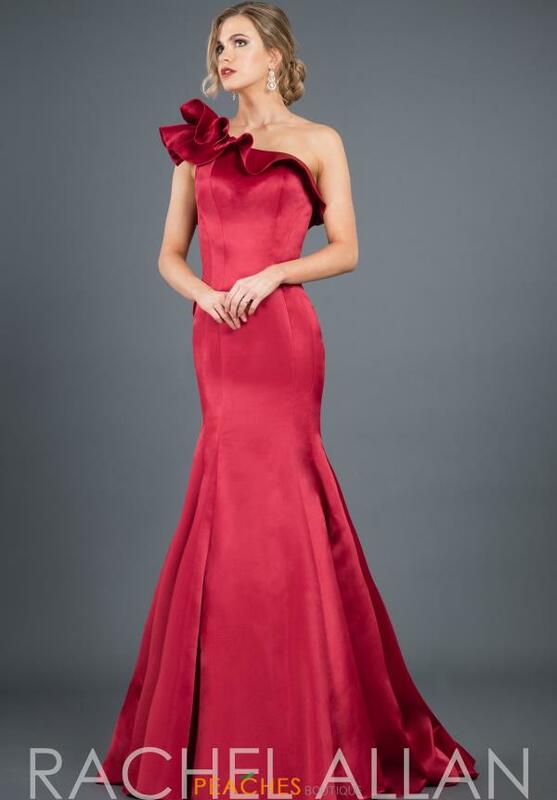 This dress highlights a one shoulder neckline with a breathtaking ruffle giving this dress a couture look. The fitted silhouette has a mermaid skirt that will flatter your figure. The back of this dress features a center back zipper closure.